Comfort House State Shape Address Sign - - state silhouette address plaque holds a three-digit address number in vertical format on one line. Wall mount. Custom made to order in the USA. The states in this assortment have shapes that are more vertical than horizontal. 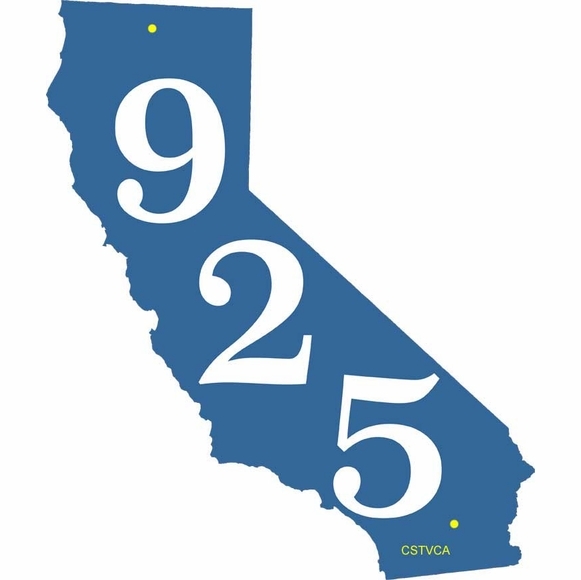 Select a California shape address plaque (shown in large image), a Florida shape address plaque, or a personalized address plaque in the shape of Alabama, Delaware, Indiana, Louisiana, Mississippi, New Hampshire, New Jersey, Rhode Island, or Vermont. If your state is not on listed here, it has a more horizontal shape. You can find it by clicking the top link in Related Products. All state shapes available except for Maryland (sorry). Provide your address or name, choose your color, and you're good to go. Holds up to three (3) 2.5" to 3" characters depending on the silhouette shape. Character placement is vertical. Note: the style numbers you see on the sample signs (in this case CSTVCA/CSTVT) are for internal use only and are not engraved into your custom sign. Eight vivid color combinations: sky blue with white characters; black with white characters; white with black characters; brushed gold with black characters; brushed stainless with black characters; yellow with black characters; red with white characters; and kelley green with white characters. All signs are approximately 12" high with the width in proportion to the shape of the state. Personalized state shape sign with a three-digit address number in vertical format.